Without insider guidance, Japan is one of the most difficult countries to experience beneath the surface. Much of what we love about Japan is found outside the big cities, away from tourist destinations. We craft well-rounded, comprehensive trips to Japan based on your specific interests. Let us plan something truly special for your limited time in this extraordinary country. 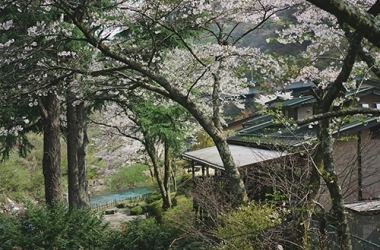 We want to help you experience Japan on a level than far exceeds typical travelers’ trips. 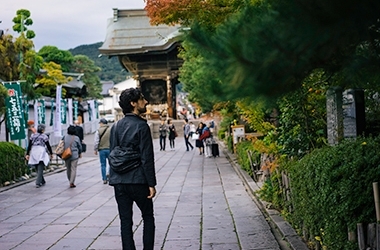 With Session Japan, you’ll gain unique perspectives and cultural access that only locals enjoy. I couldn’t have been happier with the leadership of Session Japan. The cultural access and new experiences I took away left a big imprint in my mind, but also in my heart. Japan stands out as a beautiful and mysterious place waiting to be experienced. Japan is both intensely modern, yet steeped in tradition. It’s true that you’ll find something inspiring around every corner. So much of Japan’s beauty has managed to remain unaccessible to international travelers; until now. With its vibrant nature and remarkable efficiency, Japan is also filled with kindness. There's an intentionality in everything that is done here, which means that every meal you eat, and every experience you have, will be beautifully curated. Every time. This is the Japan we know, the Japan you'll find, and the Japan that is waiting for you to explore. For most people, traveling to Japan is a once in a lifetime opportunity. If you're traveling to Japan, leave the guesswork out and don't worry about logistics. We'll take your specific interests and intentionally craft the perfect trip for you. Rural Japan has our heart, and we want to share some of our favorite places with you. From the fresh local foods, to the expansive landscapes, to the incredible people you’ll meet along the way, we know you’ll fall in love with the countryside. 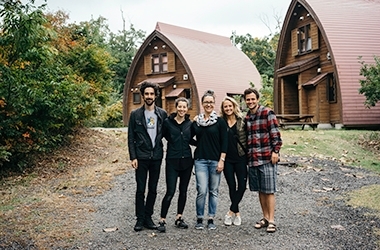 Through our connections you'll find out what it means to live like a local. 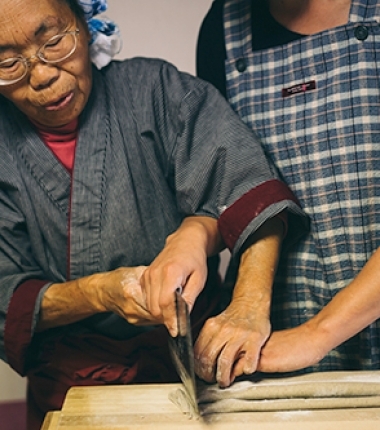 On past trips we’ve taken our guests to learn to make soba from a local master, miso tasting in a 200 year old factory, and vegetable picking at a mountain farm. Your trip leaders have extensive experience in Japan, and are uniquely qualified to give you the trip to Japan you've always dreamed of. And since we only travel to Japan, we're always honing in our unique approach. You're in good hands. Travel is the perfect catalyst for happiness and personal growth. It affords you space to see life through a broader lens. You'll go home with more clarity, tools to live a healthier life, and memories to share for the rest of your life. Japan has thousands of years of holistic health knowledge and practices. We'll be leaning into these traditions and learning of regional practices along the way. You’ll gain fresh insight into health and longevity. While in the countryside you'll stay in Japanese-style inns, which include fresh seasonal meals and hot springs for you to relax in. Embrace the rare opportunity to forage for mountain vegetables with a local expert, learning how to prepare them in a traditional way. While traveling with our group, you'll have access to the best local foods, hikes, activities, and sight seeing depending on your interests. As our small group travels through carefully selected towns, you’ll be able to capture the essence of the local people and communities. No trip to Japan would be complete without a taste of city life. The bright lights can be intimidating, but our experts will guide you. Learn more about Session Japan by following along. Get on the list for tips about traveling Japan and receive exclusive offers. 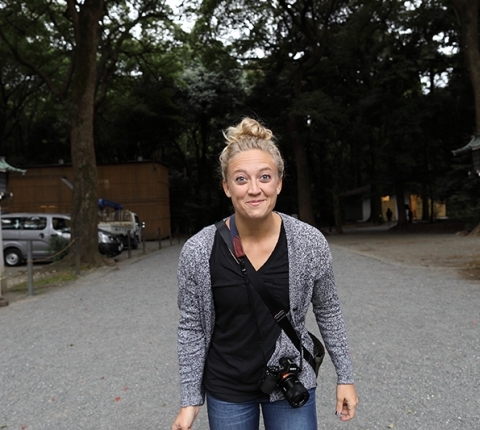 Founder and trip leader Sarah Addy has spent more than a decade working, living, and exploring Japan. Her years of experience have only increased her intrigue for this beautiful country. She decided to turn her passion for the Land of the Rising Sun into a full-time occupation in the form of Session Japan. Japan has always felt like home, yet never stops being an incredible adventure. Traveling to Japan is consistently inspiring and refreshing, and that's what she will share with you. No matter how many times I've been to Japan, I still discover something new. The culture is entirely different from my own, which means there's never a dull moment. From the design of every detail, to the way Mt. Fuji looks from a bullet train, you'll be hooked. The Japanese people are the kindest in the world. Time after time, complete strangers have gone out of their way to help, share their sake, or show me a part of Japan I was previously unfamiliar with. Their kindness and care is part of what keeps me coming back. No conversation about Japan is complete without mentioning the food. The consistency of amazing food in Japan is without an equal. There's an enormous amount of pride put into the preparation and presentation of every meal. Japanese food is fresh, healthy, and worth the trip by itself.